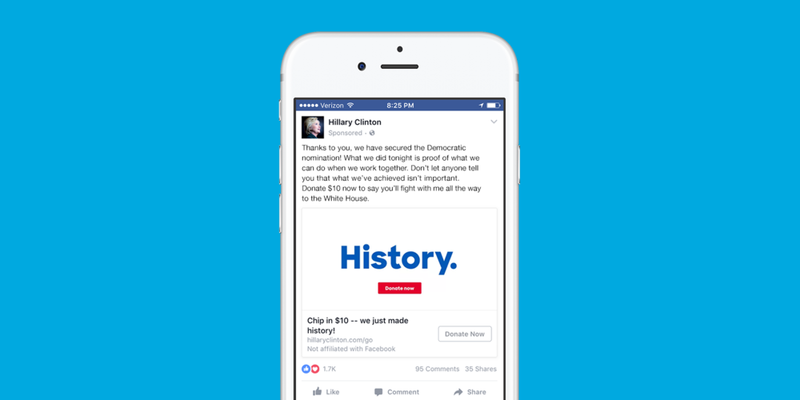 The tagline for our digital advertising program at Hillary for America was "first ever." Technology changes so much in four years that a good digital advertising team will be building the airplane while they're flying it. We had to adapt to new platforms quickly and really flex the brand to balance tone and consistency as audiences changed. We designed for a number of unique ad placements, each with different goals for the user. The goal of our “Get out the vote” voter mobilization program was simple: get voters to the polls. The ads were designed to make the voting experience simple, inclusive and accessible. Icons were used to call out specific actions, imagery related to location was used to make the experience unique to the user, and arrows created a sense of urgency. 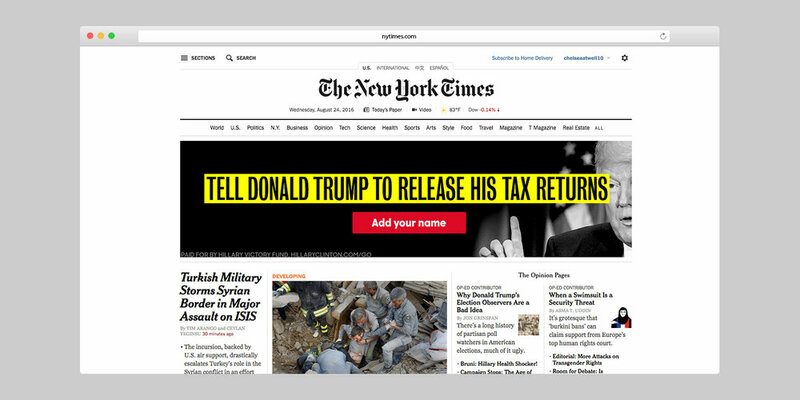 In addition to our main brand, we also developed a brand strategy for oppositional ads. The brand evolved over time, from how we initially treated the GOP primary to how we later approached the GOP nominee — Donald Trump. Our challenge was to communicate the urgency, danger, and gravity of a GOP and Trump presidency in an effective, and approachable manner. Snapchat filters were an opportunity for us to push out unique messages specific to a moment in time. All our filters were designed with a particular rally or event in mind. We designed hundreds of ads over the course of the campaign. Here’s a collection of favorites.